Toast TV have created the latest round of in-programme graphics for the Michael Portillo travel show Great British Railway Journeys. 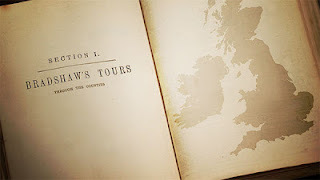 The animated maps were built to echo the look of Bradshaw's 1860's Railway Guide used as a reference throughout the show. Great British Railway Journeys is produced by Talkback Thames, Series 3 starts on BBC 2 in 2012.